A lifelong aviation enthusiast, Ed began flying while in high school. Flying became a passion and later a career quest. Ed worked his way up the ranks of civilian aviation flying commuter, corporate and general aviation. 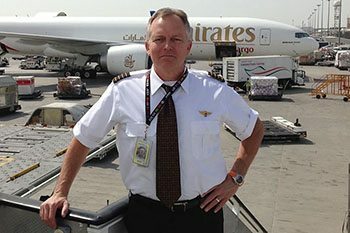 Today, Ed is a commercial pilot for UPS Airlines flying as an International Captain/Check Airman on the Boeing 757/767. In his spare time, he pursues his love of aviation through photography. Ed can be found hanging at airports or local airshows through out the country. I hope you enjoy my perspective of this beautiful profession. Ed is currently a member of the (ISAP) International Society for Aviation Photographers, AOPA, and numerous photography/photoshop organizations.